Some of his clinical interests include gastroesophageal reflux disease (GERD), Barrett’s esophagus, peptic ulcer disease, celiac disease, occult gastrointestinal bleeding, colon cancer screening, liver disease, hepatitis C and inflammatory bowel disease. He performs all general endoscopic procedures such as gastroscopy and colonoscopy, as well as the advanced procedure of capsule enteroscopy. He is one of the only gastroenterologists in Westchester who does RFA (radiofrequency ablation), which is a treatment for certain cases of Barrett’s esophagus. 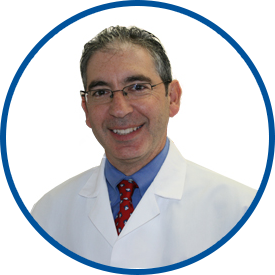 Before joining WESTMED Medical Group in 2009, Dr. Finegold was in private practice. He is affiliated with New York Presbyterian/Lawrence Hospital. Dr. Finegold is the absolute best! He listened very carefully to all my concerns and took time to explain very clearly to me about his thoughts on my condition. He was extremely thoughtful in his approach to recommend treatment for me. I also greatly appreciated how thoroughly he went over my medical history. I felt very confident leaving his practice that I was on the right path for treatment for my condition. Westmed is very lucky to have a doctor like Dr. Finegold on staff! Dr. Finegold is an excellent doctor. The doctor is one of the finest in his area of health care. Dr Finegold was caring and took the time to explain everything to me.